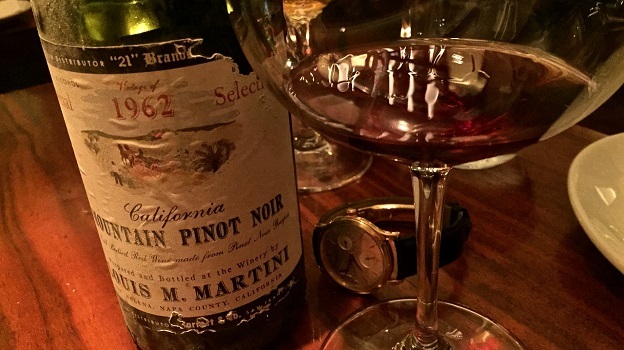 A well-preserved relic from a much earlier time in California’s history, Martini’s 1962 Pinot Noir Special Selection is also a poignant reminder of how well Pinot Noir can age. The hauntingly alluring aromatics, sweet fruit and silky tannins are captivating. Dried rose, anise, sweet tobacco, dried cherries and worn-in leather grace the palate as this delicate, weightless Pinot shows off its considerable personality and class. Time has left the 1962 with a lovely patina typical of fully mature wines. I expect well-stored bottles will continue to fade into the sunset gracefully over the coming years. This is a very pretty wine from Martini and winemaker Louis P. Martini during what was a Golden Age for one of Napa Valley’s early pioneering families. 90/Drink now.